or shells along their circumference. I practice my juggling here. No one cares. I fit right in. another, the first was so much fun. and the French aprons for sale against the wall)! from the turns in the palms of my hands. Then UP goes his biscuit! DOWN goes his water! UP fly his ears, DOWN his tongue! (My juggling needs some work). my friendships, too, sometimes up in the air. (never an easy place for anything or anyone). (but I can’t when I’m writing, like now). UP with my pen! DOWN with my coffee! DOWN The New York Times! to make my sitting really comfortable! or that Mimosa is not a circus, Claire its Ringmaster? the mighty Clydesdale (always my favorite trick). scarcely visible on the floor? Who in here is not a clown? Who is not a circus artist? no debris left, the body and bones gone. or eating a new and perfect soup. or one of the regulars dies. or even the smoothies made to order. has served to make it right again. 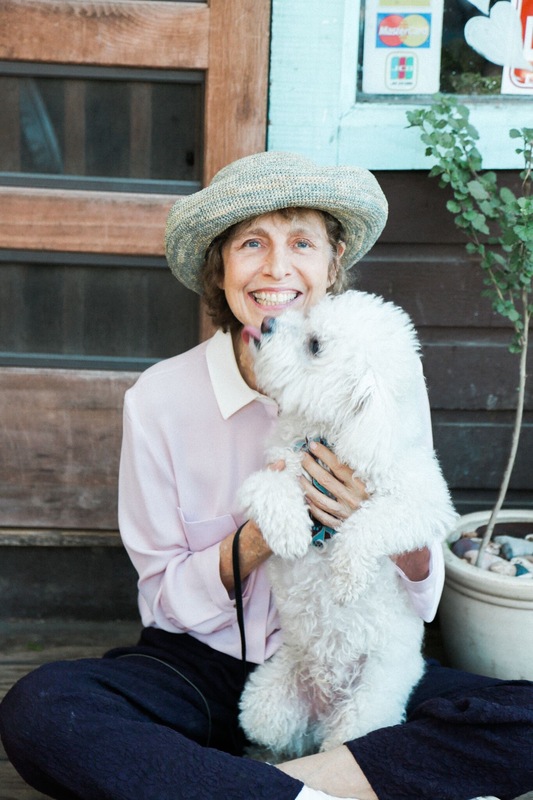 A finalist for a CAPS Grant in Poetry from the National Endowment of the Arts, Jane is the author of Café Mimosa in Topanga, Poems of The Laughing Buddha, and Dogs in Topanga. Her self-help book, Acting Techniques for Everyday Life: Look and Feel Self-Confident in Difficult Real-Life Situations, and its accompanying deck of cards, Perform At Your Best: Acting Techniques for Business, Social, and Personal Success, won the Gold Axiom Business Book Award. Jane teaches workshops with the techniques in Topanga, at universities and corporations, and coaches privately. Commissioned by the Kennedy Center in Washington D.C. to write and perform the one-woman play, Reminiscences of Mozart by His Sister, Jane also performed it at Lincoln Center in New York. Her one-woman play, Miriam’s Dance, in verse, was produced in New York and Los Angeles. Her most recent play, A Radical Friendship, a two-hander about Martin Luther King Jr. and Rabbi Abraham Heschel, has been seen in New York and Los Angeles starring Ed Asner.